ROAD CLOSURE: Hickory St. between 168th Ave. & West Spring Lake Rd. Home / ROAD CLOSURE: Hickory St. between 168th Ave. & West Spring Lake Rd. / ROAD CLOSURE: Hickory St. between 168th Ave. & West Spring Lake Rd. WHERE: Hickory Street, between 168th Avenue and West Spring Lake Road, Spring Lake Township. DETOUR: West Spring Lake Road to Hemlock Drive to 168th Avenue. 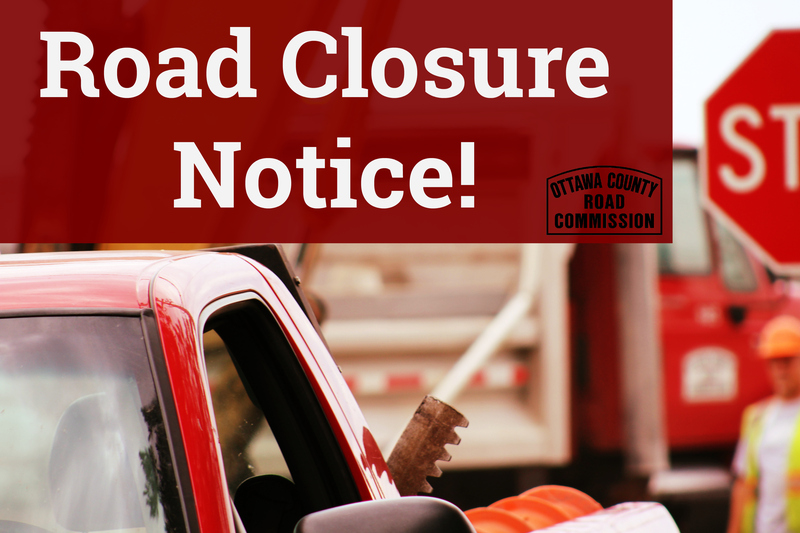 For more information about OCRC road closures visit http://www.ottawacorc.com/road-closures/.